Ayre Road, Jan 31 1953 Earl Sigurd at pier. 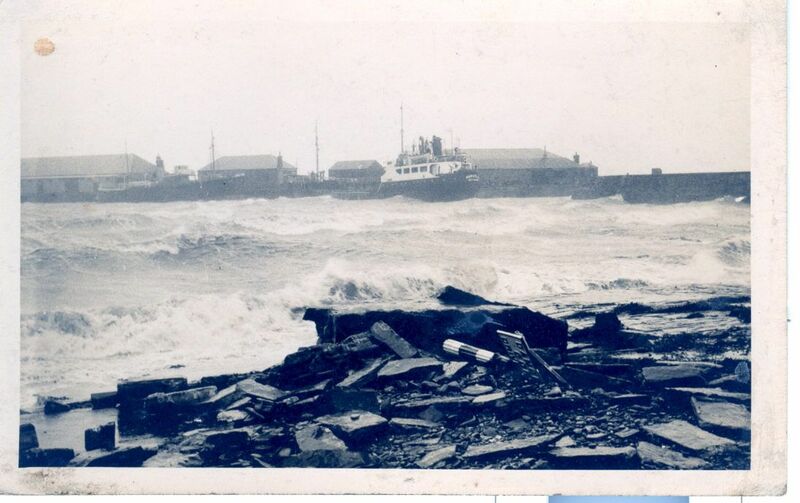 My dad H.Hess lost his life on the 'Sheldon' (trawler) along with all hands.It sailed from Kirkwall on the 30/01/1953 and the last contact was 31/01/1953 and never heard since. Has anyone got any info on this please. Hi Steve, Please see info and links below. Lost in a heavy gale on Saturday 31st January 1953 on passage from Grimsby to the Faroe fishing grounds. Thanks for the info craig,very useful. My mothers fiance Sid Carlton was lost also. I believe he was the youngest member of the crew, I would be interested to know more about him, but as I have lost my mum, but still have my old dad, I would not like to upset him - but would like to know more about this. Hi My Grandads brother was Thomas Roland Beesley he was the skipper of the Sheldon and his son was Roland T Beesley who was the mate. I have found this very interesting. My grandad was S King (stanley) the ships cook. The Sheldon was lost when my mother was 4. Stanley was only on the ship by chance as apparently the original cook got taken ill.
My grandad was Sidney B Blastland. My mam would be very interested to know any more.